While you can appreciate the intent of this meme that's been floating around, it's sad I have to do this, but it just goes to show no one does their due diligence. People just soak up what they see and hear as facts, kinda like how they believe all the BS from democrats/ progressives masquerading as republicans and conservatives. 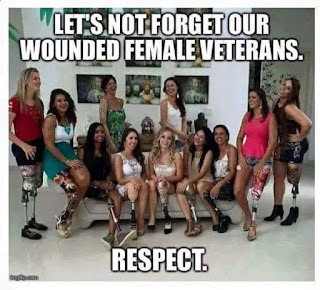 These strong women who are not allowing the loss of limb stop them are not veterans. They are not even American! 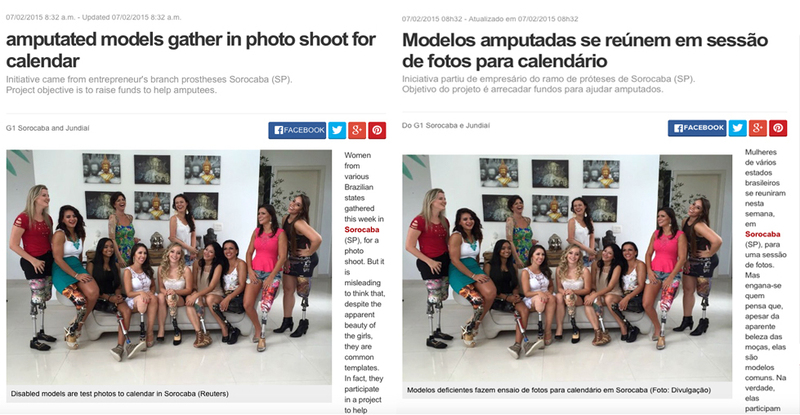 They are Brazilian amputee models who did a photo shoot in 2015 for a calendar to raise money for amputees that was released this year. So yes I have a problem when people share it out praising them as vets. They aren't and IMO it's disrespectful to those who did serve and lost a limb(s) fighting for the US. I'm not trying to take anything away from these women who are doing a good thing but for those in the military who get upset over stolen valor and the like it is shameful to turn your head and be okay with this sharing it out after you learn they're not vets! Please if you see this meme being shared do not participate. 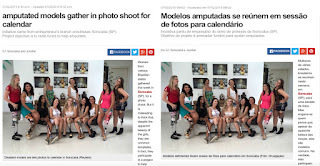 Drop a comment it's not true with the link to the original post without the translation so people can see for themselves. It would be great if someone got actual US female amputee vets together to take a pic like this.